On April 4th 2017, several group of Event Horizon telescopes across the world switched on at the same time. 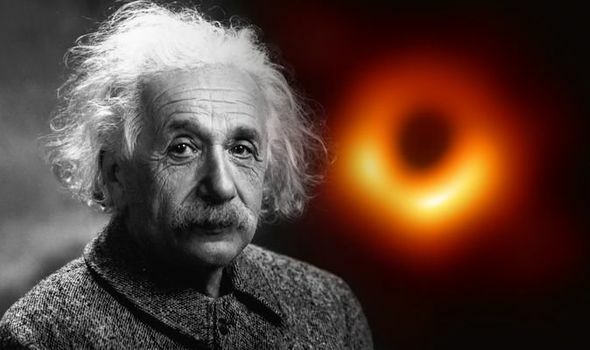 And almost two years later on April 10th 2019, the first ever image of a Black Hole was released. Ever since physicists first studied about Black Holes, every image of Black Hole in our text books was an illustration. But now we have seen what was thought to be impossible. Around 200 scientists worked on this and the result took the world by storm. The picture was identical to the one predicted by Einstein and also confirmed his theory of relativity. Humanity added one more page to its glorious history by capturing the first real photo of a Black Hole. Let us know more about Black Holes and why this picture is so important. This global project to capture the first ever photo of a Black Hole took a lot of research; many Event Horizon telescopes were placed by NASA on 8 mountain peaks around the planet, Pico Veleta (Spain), Mount Graham (Arizona), Sierra Negra (Mexico), Mauna Kea (Hawaii), South Pole Station (Antarctica) and three more mountains were chosen as the peaks for these telescopes. 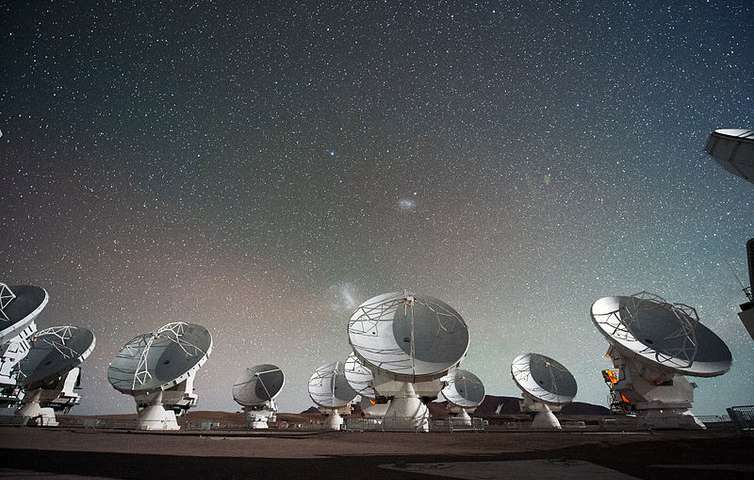 Now, these telescopes were switched on together and they functioned to collect radio waves dispatched from center of our Milky Way Galaxy and the Galaxy M87 which is 54 Million light years away. The image of the Black Hole shows plasma orbiting the massive Black Hole at the centre of the Galaxy M87. The bright region shows where the plasma is coming towards us and since it’s travelling near the speed of light it appears brighter when coming towards us and dimmer when going away, this is called relativistic beaming. From the image scientists can tell that the plasma is orbiting clockwise, taking two days to complete one orbit. Scientists think that there are black holes large and small all over the universe, but they are hard to locate because they are either too small, too far away or both. Sagittarius A* the black hole at the centre of the Milky Way has mass of 4 Million Suns, but it would fit inside the orbit of Mercury. 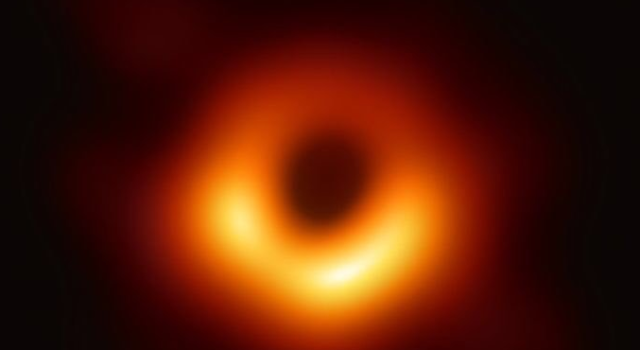 Now, taking a picture of a Black Hole is like taking a picture of a tennis ball on moon from earth with huge clouds of dust and gas in between. According to theories by Einstein, an object with enough mass and density could even trap light in its gravitational field. A black hole is a region of space-time exhibiting such strong gravitational effects that nothing not even particles and electromagnetic radiation such as light can escape from inside it. The theory of general relativity predicts that a sufficiently compact mass can deform space-time to form a black hole. The boundary of the region from which no escape is possible is called the event horizon. At the centre of the Black Hole is a singularity, a point of infinite density which is where physics as we know it breaks down. The bright region shows where the plasma emits radio waves of wavelength 1,3mm. Now, the Event Horizon telescopes had the chance to get the photo of the Black Hole as long as the weather was clear in all of these locations. The National Science Foundation waited for several months for data to arrive from the South Pole location. Each pair of telescope contributed a piece of the image, and then the scientists worked for 4 months to present the image. The picture isn’t perfect, but it is a timeless jewel. What is Income Elasticity of Demand? What is Disk Defragmenter in Windows Operating System? Is it possible to become rich with Bitcoin?